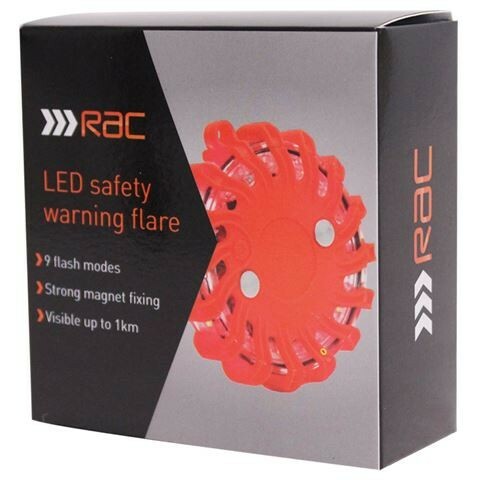 Our LED Warning Flare can be used in emergencies such as breakdowns with ease to ensure that you are kept safe at the roadside whilst waiting for assistance. With 9 different modes to choose from, you can choose the one that suits your situation and warn other motorists passing by. The warning beacon is sturdy and magnetic for security purposes when it needs to be attached to surfaces such as the roadside or the roof of your vehicle. The flare visible up to 1km at night and is powered by batteries meaning it doesn’t require any charging.